There are rules of etiquette for every part of our lives, so why not the movies? 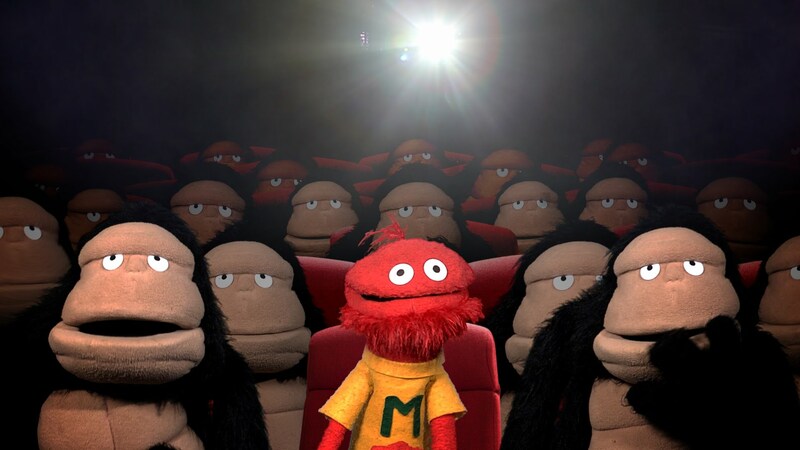 Here’s ANDREW JOHNSTONE’s guide to the especially important matter of behaviour at NZ cinemas. Soak it up, kids. What are the rules when attending a movie? First and foremost it is culture specific. In India the film experience is a social occasion filled with chatter and noise. It’s the ‘anything goes’ method of film attendance and is fairly typical of any Indian crowd experience, be it cricket, political rally or driving on the road. The New Zealand movie experience is a contained one, and as with most everything else we do – concerts, matches, protests, driving on the road – a degree of decorum is expected, and rules are constructed in aid of this outcome. Theatre Supervisors: Use your torch like it was nitro-glycerine, delicately. And shut the main door when the film begins. Both are essential because of the ‘darkness thing’. Patrons: When there is a long line behind you, dithering about ice-cream flavour and drink size is not winning you any friends. So now we are in the theatre. It is okay to chat with your friends and look at your smart phone but the dimming of the lights is the call to prayers. For some, the adverts and previews are a sacred part of the movie experience. This should be acknowledged and respected. Casual cinemagoers should understand that some patrons are deadly serious about film and that your indifference is distracting. Get some sedatives from your doctor and save them for the next time you are invited to the movies. If you time it right, you won’t even know you’re there and neither will any one else. 3. 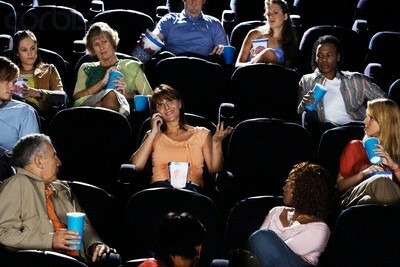 Smart Phone obsessives, why are you even at the movies? Flashing that luminous screen about in space where the darkness has a specific purpose is an act of mindboggling inconsideration verging on outright sabotage, and as for ringing phones: are you serious?!? The ‘please turn off your smart phone’ message that precedes every movie is not an exercise in esoteric mysticism, it is a polite directive. Offenders should be made to stand naked on the street with their phones taped to their foreheads. Take your rubbish with you when you go. “Oh, but they have people for that.” That’s just rude. A little courtesy and mutual regard is a wonderful thing for everyone, especially in a country that’s supposed to be egalitarian. Designated seating. I prefer the first come first served approach to seating, but understand the necessity of designated seating when there is a big crowd or when the patron has booked ahead and specifically requested a seat for whatever reason. If it is your seat and I am in it, my apologies. I will move immediately. 5a. If the cinema is mostly empty and there are plenty of seats about, then the designated seater is probably just a pedantic prick who deserves a little baiting. 5b. If you are the only one in the cinema and torch boy/girl insists that you sit where your ticket says, then torch boy/girl needs to be reminded that Mussolini’s swagger only got him so far. If that doesn’t work, ask to see the manager. This tones them down fast. If you have a cold, stay at home. Your coughing and sneezing is annoying, and bringing an infectious disease to an enclosed space is not the act of a reasonable person. Late comers shuffling past you during that crucial opening scene… the naked on the street thing again. If you must explain every little plot detail to your companion, please do it via telepathy and not in that loud annoying voice Jesus blessed you with. I was standing at the urinal when I saw you came out of a stall. You did not wash your hands and touched numerous things on your way back into the cinema, things I also had to touch like door handles. Now I am sitting behind you and watching you take handfuls of popcorn from the box you are sharing with your friends. Begone, you disgusting germ-ridden vermin, naked, with toilet paper hanging from your arse. Andrew Johnstone is Witchdoctor's Film & TV Editor. He also writes and produces music (with creative partner, legendary Waikato music producer Zed Brookes), is an avid gardener, former dairy farmer and food industry sales person. When he isn't making up stories he writes about the stories he sees on television and at the cinema. He is also fascinated by politics (the social democratic sort) and describes The Universal Declaration of Human Rights as his religion.